ACX Global Direct Haul is the process of moving hay directly from the farmer's field to ACX Global storage for future shipment to overseas destinations. After the farmer cuts, bales, and field-stacks the hay, ACX Global promptly moves the hay to one of our facilities. 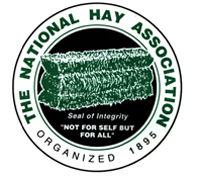 All tonnage and bale counts are promptly reported to the growers. This is one of many innovations designed to support the hard working farmers who support ACX Global. Please contact us for more information.